Have you ever been to someone's home and noticed their window fixtures? Like really noticed them? Perhaps you admired their decorative curtains and how they billow ever so slightly on the floor beneath the window. Or maybe you noticed their tall windows and how they have added curtain tracks on the ceiling to support the massive drapes. But have you ever noticed a curtain rod (gasp!) that has bowed in the middle? Most curtain rods are made of two pieces. One piece of the rod slides into the other which leaves a bump in the rod (that's an issue all in itself that we will talk about it in a bit). When you have a long curtain rod, a supporting bracket should be put in place in the middle to keep the rod from bending. This might solve the support issue of the curtain rods but that bracket causes a whole other problem; you can never completely close your curtains which can leave an annoying ray of light into the room when you want it to be dark. As we mentioned above, using a curtain rod that has two (or three) pieces can cause a bump in the middle which can make easily opening and closing curtains a bit of a pain as they get caught on the rod. The easy solution to this curtain rod dilemma is simple: use curtain tracks. 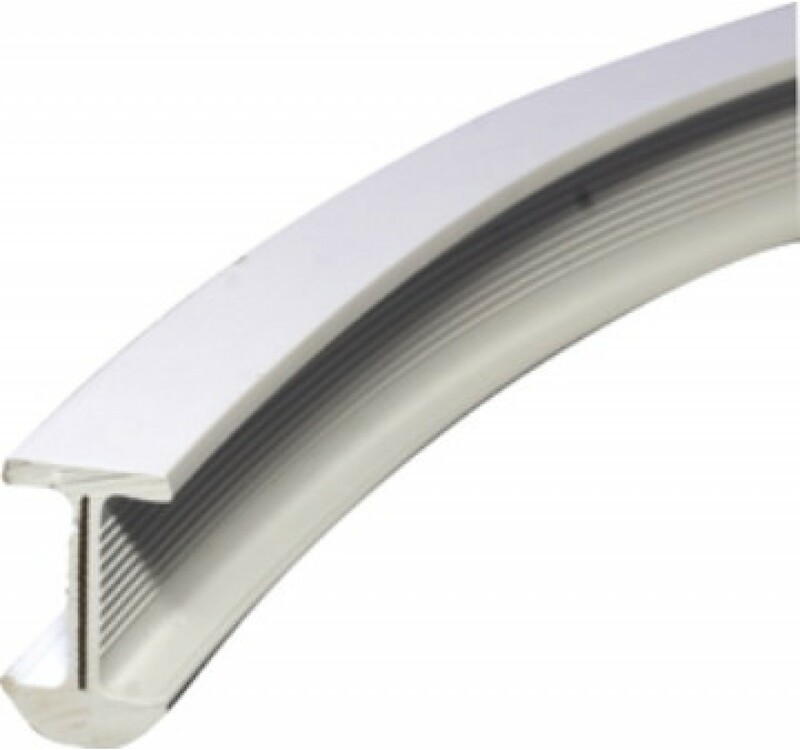 One of our most popular curtain tracks is the 6100 flexible curtain track. What makes this track so special is it can be mounted to the wall or ceiling and it is bendable by hand. Sold by the foot, this track allows long continuous lengths for curved or angled applications, but can also be used for straight applications. If you are looking for a track to be recessed in the ceiling, the 3120 curtain track is the one for the job. Once you have your tracks hung, simply add carriers and your curtains will glide smoothly and easily along the entire length of track. Ready to avoid all of the problems of using curtain rods? Give curtain tracks a try!